The Public Health Department is represented by one circle, at Jind, under the control of Superintending Engineer, PWD Public Health Circle, Jind. The Jind circle has three Public Health Divisions under its jurisdiction stationed at Jind, Narwana and Kaithal, which have been functioning since 3.4.70, 1.2.85 and 10.8.89 respectively. These divisions are manned by respective Executive Engineers. The Public Health Divisions, Jind is further divided in four Sub Divisions, out of which 2 No. are located at Jind , one No. at Julana and the 4th at Safidon under the control of a Sub-Divisional Engineers each. Similarly Public Health of a Sub-Divisional Engineers each. Similarly Public Health Division, Narwana has three sub divisions, two at Narwana and one at uchana, under the charge of respective Sub-Divisional Engineers. Public Health Division, Kaithal has 5 sub Divisions under its charge with head quarters of 3 Sub-Divisions at Kaithal, one at Kalayat and one at Pundri, under the charge of Sub-Divisional Engineer each. The overall control at State level of Public Health Deptt. Is vested with the Engineer-in-Chief, Haryana, PWD Public Health Branch, Chandigarh. The department is responsible for execution and maintenance of Public Health works relating to water supply, sewerage, drainage and sanitation in rural and urban areas . In Jind District, all the villages have been provided with piped water supply. The medical and health services in the district are controlled and looked after by the Civil Surgeon, Jind. He is assisted by a District Medical Officer, District Malaria Officer, District Health Officer, District School Health Officer, District Training Officer, District T.B.Officer, District Immunization Officer and District Family Planning Officer. 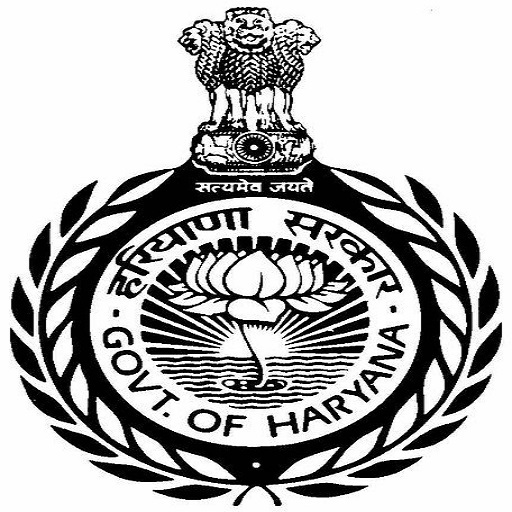 He functions directly under the Director General, health Services, Haryana . At the block level the senior medical officer is the incharge of the community health center and supervises various health schemes, viz, family planning programs, control and eradication of malaria, small-Pox, tuberculosis, trachoma, polio immunization program etc. Primary health center and sub-centre at the village level also function under his control. Diseases Common to the District. The common diseases to the district are fevers, dysentery, diarrhea and respiratory infections. The epidemics like cholera, plague and small-Pox were prevalent in the past but with modern and advance medical and public health services, these epidemics were eradicated from the district. Successful Preventive measures are being taken through Community Health Centers, applied nutrition program, good and balanced diet, detection of food adulteration. etc. The program started during the second Five-Year Plan, has been made an integral part of all hospitals, community health centers and primary health centers and rural dispensaries since 1973. Under the Program , the school children studying in I, VI and IX Classes are checked periodically and arrangement are made for the treatment of those found ill.
A whole time district school medical officer is responsible to organize and implement the service in the district in collaboration with district education officer . In the present concept of community health , health education has come to play a significant role. Its aim is to provide integrated curative and preventive service for better health of the citizens . Therefore proper health education is the main pre-requisite for the success of all health programmes. Prior to 1967 the state health education bureau co-ordination and implementation of health education work was carried out by the medical and para-medical staff of the health department who generally held group meeting and distributed education material to the people talks to school students on health topic like personal hygiene, vaccination etc. The education and information wing came into being in September, 1968 which was headed by the district mass education and information Officer. He was responsible for planning and implementation of the health education program in the district under the guidance and supervision of Chief Medical Officer and District Family Planning, Maternity and Child Health Officer. The family planning program which acquired a big and crucial signification for the future of India was of little importance in this area in the past. The masses in general were illiterate, orthodox and backward. All activities of family planning program in the district are carried out under the guidance and supervision of the Chief medical Officer (Civil Surgeon) . Under him the district family planning, maternity and child health officer is actually responsible for this program and heads the district family planning bureau. At block level, a rural family planning unit is attached with each primary health center and is under the charge of a medical officer . He is assisted by an extension educator , field workers lady health visitors , auxiliary nurse , midwives (M.PHW(F) and trained dais. At the village level, services are rendered by sub-centers, field works and rural dispensaries . The maternity and child health care is provided at all Civil Hospitals , Community Health Centers, Primary Health Centers and Sub Centers. Free prenatal and Post-natal care and free delivery services are provided at the house in the rural area. Adulteration in food stuffs is checked under the prevention of food Adulteration Act, 1954. There were 3 Tehsil Sanitary Inspectors one in each tehsil of Jind, Narwana and Safidon and one food inspector in the district. Besides the Civil Surgeon Jind , District Health Officer and Senior Medical Officer, Jind, Narwana and Safidon have been vested with power under this Act for the whole district. Samples of food Stuffs are seized in routine as well as through specially organized raids. The water level being very low in the district , ponds were used for drinking water. There were a lot of scarcity of water during drought. To ensure clean drinking water, a National Water Supply and Sanitation Programme was launched in 1954 and by 1975, 32 villages of the district were provided with water supply. The piped water supply was also made of Uchana by the respective Local bodies. The under ground sewerage was not available in any village. However Jind , Narwana & Safidon towns were provided with such Facilities.